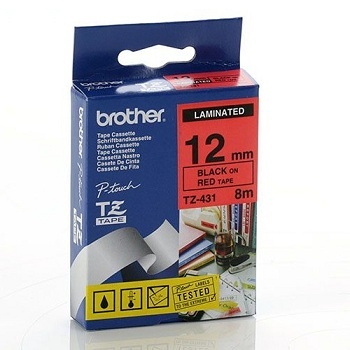 Red print on a Clear background laminated tape for use with Brother P-Touch label printers. Blue print on a Clear background laminated tape for use with Brother P-Touch label printers. Red print on a White background laminated tape for use with Brother P-Touch label printers. Blue print on a White background laminated tape for use with Brother P-Touch label printers. Black print on a Red background laminated tape for use with Brother P-Touch label printers. 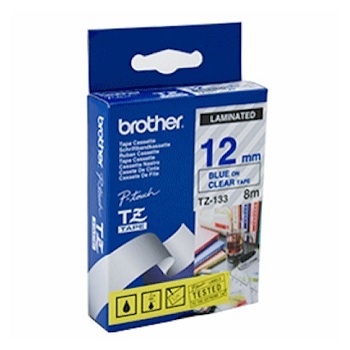 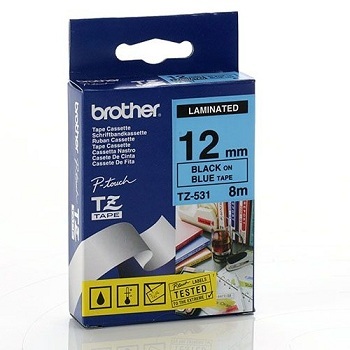 Black print on a Blue background laminated tape for use with Brother P-Touch label printers. Black print on a Green background laminated tape for use with Brother P-Touch label printers. Gold print on a Black background laminated tape for use with Brother P-Touch label printers.